I am pleased to announce that the Dominican Rite Calendar for 2017 is now available on the left sidebar at Dominican Liturgy. You can now download it at the link called "Dominican Rite Calendar 2017." Or down load it directly here. 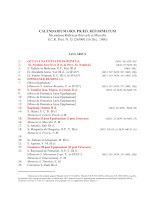 This calendar gives the Mass to be said on each day of the year, cross references for the 1933, 1939, and 1965 Missals when the feast is on another day according to the 1962 calendar, and, in Italics, any extra collects that should be said at Mass, Lauds, and Vespers. At the end there is also a supplement with the local feasts for all dioceses where there are houses of the Western Dominican Province, as well as that for Washington D.C. The calendar itself includes particular feasts of the United States in brackets. Optional local Dominican blesseds are listed at the end of the Calendar with an indication of the provinces where they would be used. 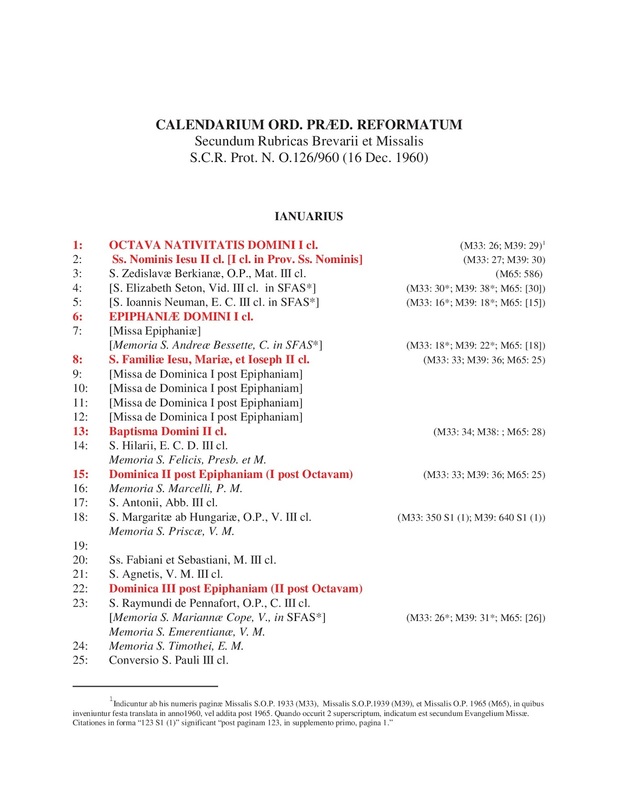 Finally, Dominican saints canonized and placed on the Order's Calendar by a General Chapter since 1965 are included in the calendar with references to where suitable commons may be found in the Missal. Should you notice any errors, please let me know in the combox below. Should members of any other Dominican province wish to compile the local feasts for their houses using the same style and format I have used, send them to me and I will add an appendix for that province. My email is found at at Dominican Liturgy on the left sidebar near the top.